Whether you're looking for a green sweatshirt that screams "Kiss Me I'm Irish" or more traditional (and subtle) Irish clothes, the shops below have what you're looking for. They're also great places to find gifts, carrying everything from Waterford Crystal to handwoven Irish sweaters. If you're more in the mood for Irish food or beer, you can find plenty of that, too. The Kerry Cottage has been the "go-to" place for Irish goods in St. Louis for decades. This fun shop has a wide range of Irish imports including clothing, foodstuffs, jewelry, music, and home decorations. You'll also find a nice variety of Waterford Crystal and Belleek China. The store is always busy around St. Patrick's Day, but also keep it in mind as a terrific place to find gifts for baptisms, first communions, and weddings. Thistle & Clover in St. Charles is a one-stop shop for Irish, Scottish and Welsh merchandise (basically anyone oppressed by the British). Irish items include Claddagh and Celtic cross jewelry, cookbooks, flags and more. There is also a large selection of family crests and authentic coat-of-arms prints. If there's something you like, but they don't have it in stock, the friendly workers will be happy to contact their suppliers to see if they can get it. St. Louis has a large Irish American population, but is also home to the nation's largest per capita Catholic population. Put the two together and you get Catholic Supply. At times, it seems as much of an Irish shop as it is a religious store. 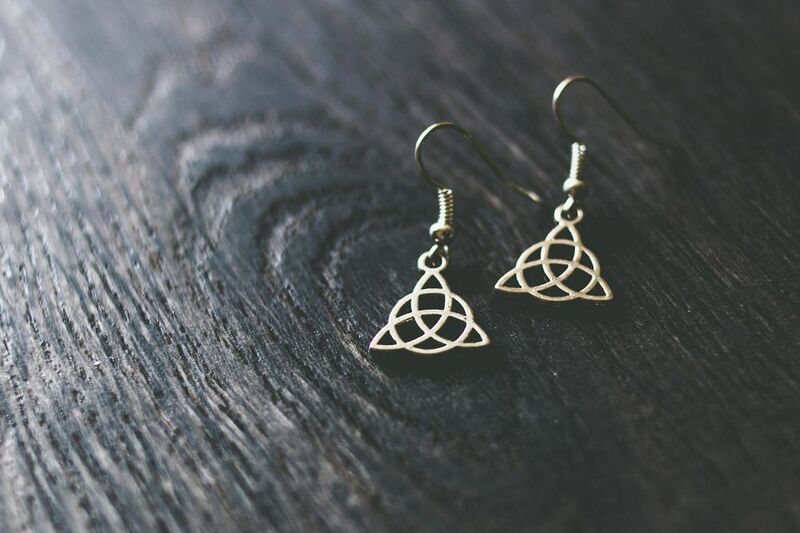 You won't find Guinness merchandise or other party supplies, but Catholic Supply does have a tremendous selection of celtic crosses, jewelry and other Irish religious gifts. Catholic Supply is also a good place to find Christmas and Easter items from the Emerald Isle.